Spain said that it would not agree to the draft Brexit withdrawal deal unless Britain agreed to hold talks with them, regarding the sovereignty of Gibraltar. 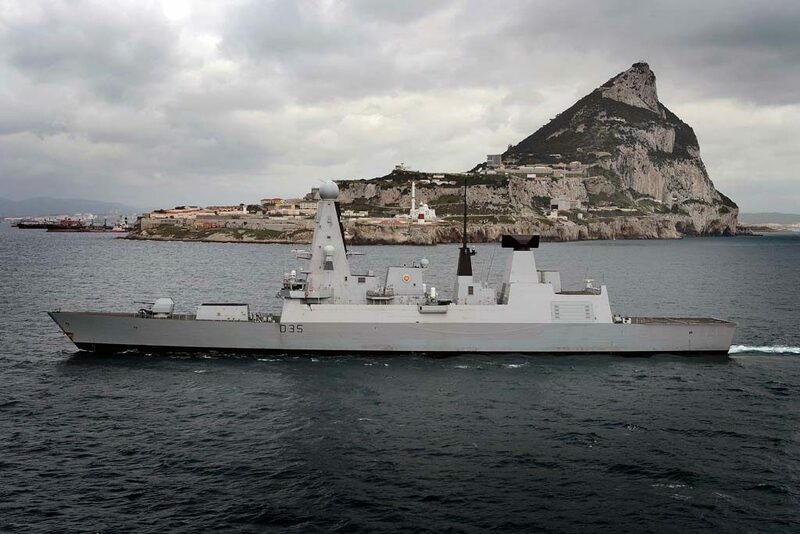 As the agreement of all 27 EU countries was required to get the draft Brexit deal agreed, Britain capitulated, and agreed to hold talks with Spain, regarding Gibraltar’s sovereignty, during the trade negotiations, in order to get any deal agreed. Britain intends to leave the ‘EU Common Fisheries Agreement’ and take control of our own costal waters when Brexit takes place. French President Emmanuel Macron has recently stated he will not sign up to any trade deal unless French Trawlers are allowed to fish in British waters following Brexit. Then we have the old chestnut of the ‘Irish backstop’ upon which Britain must reach agreement before any future trade deal can be approved by the other 26 EU Countries. a. Britain agrees a deal with Spain regarding the Gibraltar issue. b. Britain agrees a deal with the French regarding allowing them access to British Fishing Waters after Brexit. c. Britain agrees a mutually acceptable solution on the Irish border issue. Britain having conceded it will reach an accord on these three points before a final trade deal is approved by the 26 EU countries, has in effect handed the EU the upper hand in the forthcoming trade negotiations. That is providing the ‘draft deal’ is approved by the UK Parliament in the first place. Considering ‘Gibraltar’ and ‘Fishing Rights’ are ‘redlines’ for Britain, we are unlikely to be able reach a ‘Trade Deal’ in future negotiations with the EU, unless we concede on these points. Regarding the ‘Irish backstop’, well the EU have got us over a barrel on that one, since any solution must be agreed by both sides and the EU have little incentive to reach agreement as far as can be seen. Tagged Brexit, British Democrats, britishdemocrats.uk, Gibraltar, Irish Backstop, UK Fishing Rights.